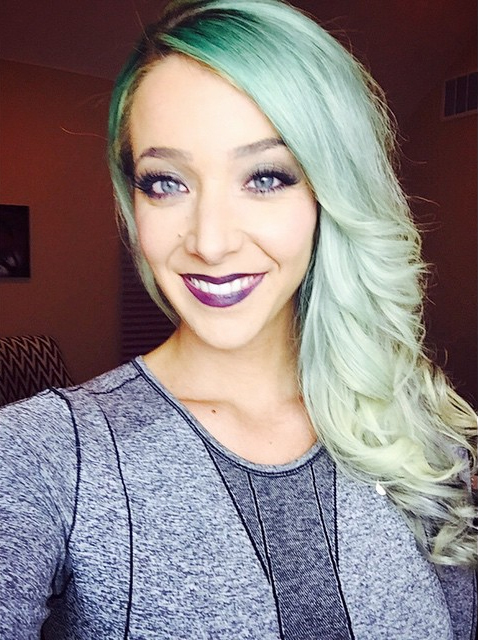 Jenna Mourey, better known to many as Jenna Marbles is an American YouTube vlogger with over 15 million subscribers worldwide. Jenna was born in Rochester, New York where she eventually graduated from Brighton High School in the year 2004. Shortly after, she picked up and moved to Boston to attend Suffolk University where she obtained her Bachelor of Science in Psychology. She took on the pseudonym “Marbles” after her dog “Mr. Marbles”. She initially started her career path with Barstool Sports where she was a writer for their female counterpart website called StoolLaLa. However, in 2010 things changed when she released a video called “How to Trick People into Thinking You’re Good Looking” which got an impressive 5.3 million views just in its first week alone. As a rising YouTube star, Jenna Marble’s net worth was starting to rise as well. At the time of the first video release, Jenna’s mother was unemployed and Jenny was concerned that potential employers may see her video and be put off by it. However, that did not seem to happen because she released another video titled “How to Avoid Talking to People You Don’t Want to Talk To”, which was featured by the New York Times and then ABC News in 2011. As of November of 2015, this video has over 35 million views. Adding to Jenna Marble’s net worth, Jenna has appeared in Season 2 of Epic Rap Battles of History as Eve in episode 13. She then played a banana in the Annoying Orange episode titled Fake n’ Bacon. She was also Miley Cyrus in an inspired segment of YouTube Rewind titled Wrecking Ball in 2013. And taking on a bigger role, Jenna played herself in the movie “Smosh: The Movie”. What’s Jenna Up to Now? Jenna created her own line of dog toys, which she named Kermie Worm and Mr. Marbles. These toy appearances are based upon the real dogs they are modeled after. Jenna also hosts her own weekly pop countdown on Sirius SM Hits 1 called YouTube 15. Additionally, she is the co-host of a podcast with her boyfriend Julien Solomita, which is called Jenna and Julien Podcast. Jenna is making some incredible amounts of money through her YouTube channel. She is considered to be the most subscribed to female channels around the world. Even though it has been speculated that she brings in around $4 Million each year, Jenna Marble’s net worth is estimated to be only $2.5 million. Despite her many critics, her net worth continues to rise. She currently rents a $1.1 million dollar town house in the city of Santa Monica. Her advertising revenue isn’t her own source of income. In fact, her line of dog toys also is bringing in some money as well. Love her or hate her, Jenna is not going anywhere. She’s funny and attractive and from the growth in her income from 2014 to 2015, it’s apparent she’s just getting started.